Baby video monitors have recently gone from relatively low tech devices to high tech gadget that would make any cold war spy jealous. 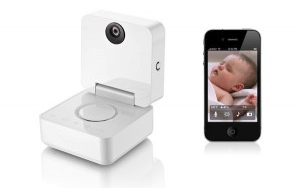 These days you have all the tools necessary to ensure your baby can be monitored whenever and wherever you are. Here are a couple of our favorites available today that are simple to operate but take advantage of wireless technology to ensure you child is safe, sound and happy. The Withings Smart Baby Monitor can operate cord- and cable-free, running off battery power and using Wi-Fi connection to stream video to your iOS device. If you’re traveling and don’t have access to Wi-Fi, Smart Baby can use Bluetooth to connect to your iOS device. The Smart Baby monitor lets you set up alerts to your iOS device based on unusual fidgeting by your child as they sleep, cry, or there’s an unusual temperature or humidity in your child’s room. The design of the monitor is simple, and the ability to close like a clamshell makes it great for travel. Keep in mind, though, that you'll only get an hour of streaming video when running off the monitor's battery. 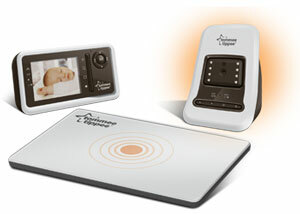 In addition to transmitting video, the Closer to Nature Digital Video Sensor Pad monitor has a pad you place under the mattress that can detect movement—or lack thereof. If no movement is sensed within 20 seconds, an alarm will go off. 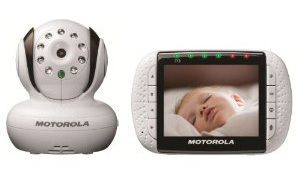 Other features include infrared nighttime mode, room temperature monitor and a “talk back” ability to speak to your baby while in another room. The Motorola MBP36 has an innovative ball-in-socket camera design that allows you to tilt, swivel and zoom video remotely, so you can always be focused in on your child. The monitor also includes night vision mode, a room temperature thermometer and pre-recorded lullabies.